In this ever increasing sedetary life we lead, making small daily changes that can help burn extra calories is a good way to help lose exta pounds. Spring is nearly here which means summer will soon follow therefore one way to help lose any extra pounds would be to increase your NEAT. What is NEAT? It is non-exercise activity thermogenisis. It is any activity that is added to your daily routine outside of the gym that can help you in the long run. So, you add some daily habits that help you burn more calories throughout your day. So for example if you burned an extra 100 calories a day of extra activity into your life , you would burn an extra 700 calories a week. 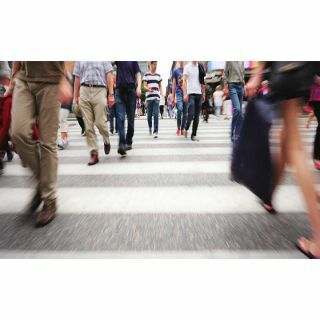 Walking is an activity we can all fit in to our daily lives. All that we have to do is increase the number of steps we walk everyday and over time the extra energy used will come from our fat stores. Good ways are taking a walk during lunch hour or parking the car further away in the supermarket carpark. Doing the household chores is a great form of exercise. I try to challenge myself to see how fast i can clean the bathroom or vac through the house. Even washing the car rather than taking it to a car wash! Basically, its about moving more! Here we are into 2019, entering our 3rd year as a company. New year is always a time for reflection and as a company we have come such a long way since our humble begininings in 25 meter squared freezing cold hut attached to a gym! And we intend to strive for more this year. We have been busy over January not only preparing thousands of meal prep orders for the public but improving the brand, our meals are now stocked in a gym in Birmingham, Ironworks and we are working closely with other brands. We are aware in the past some customers have been having issues with the plastic containers breaking during transit. Although this is beyond our control with heavy handed courier drivers, but as the owner of the company customer satisfaction is paramount to myself. Let's face it noone wants to spend money on meal prep only to recieve the order and have lost a couple of meals due to the boxes breaking, not only have you lost money but meals too, which could seriously affect your weekly goals! For myself too, we are meticulous in the kitchen that every meal is sent out to our high standard, it is extrememly frustating to receive emails from my customers informing me of broken containers. So last week I sourced and invested in a much stronger product, which I am hoping will eradicate this problem. I will continue to strive to completely ensure there are no more issues with containers. Also, please do not forget these containers and the labels are fully recyclable. Onto the menu, I am aware of the demand for eating more plant based proteins, I am myself eating twice a week protein from such source. I am in the process of developing more vegetarian/vegan options. Hopefully I will have these live within the next few weeks. Our extras menu is live now, full of healthy snacks and more will be added soon! Stay focused, stay on track! If you have any questions or ideas, please dont hesitate to contact me on lou@simplyprepmeals.co.uk I'll be more than happy to hear from you! Tis the season to be jolly! With less than 3 weeks til the big day we thought is would be fitting to offer a discount on 3 of our most popular plans. We appreciate it is hard to stick to a diet or meal plan at this time of year, so we are hear to help! So before the over indulgence starts give your body a head start and order either our low carb, fat loss plan or muscle builder and use code XMAS and you will recieve a 10% discount. With these 3 plans all the hard work is done for you, they are specifically designed to be nutritionally balanced as well as tasty and so convenient. It is difficult to stick to a plan when you are not organised, so we take that stress from you. No shopping, cooking or weighing out food and no washing up!! Giving you more time to smash your goals, relax or go Christmas shopping. Check out our plans here:http://www.simplyprepmeals.co.uk/order And remember with Simply Prep delivery is always free. Over the next 2 weeks we will be sending out Christmas presents to our customers! Our last orders before Christmas is Friday 21st December and we resume deliveries in 2019 on Friday 4th January. It has been an amazing year at Simply Prep and it is not over yet! Behind the scenes our director and founder Lou is busy creating new dishes for our menu. Lou has managed the kitchen since the beginning, and with her amazing team produce hundreds & hundreds of meals daily which are distributed around the country. We are pleased to anounce the launch of our low carb fat loss plan https://www.simplyprepmeals.co.uk/product/low-carb-fat-loss-plan Perfect for those waching their carb intake, these are 10 carefully created low carb meals that will save you not only money but time too. Over the week, just in time for the colder weather,we will be protein porridge in 2 amazing flavours, we are finalising these recipes as we speak. Also very soon our line of clean treats will be launched, in line with all our other products these will be hand made by Lou using only the finest ingredients. Due to the the success of our Simply Roast dinner, we will be rolling out some traditional British comfort food in line with your macros! We would love to hear from you if you have any ideas or maybe something you would like to see on the menu? Protein is the building blocks of our entire body, it repairs tissues, builds muscle, makes hormones that are essential for growth and metabolism. Whether your aim is to build lean muscle or just aim to be healthy, getting adequate amounts of protein from good sources is paramount. Protein is found in many foods such as meat, fish, eggs, diary, nuts and even grains. Our meal prep plans such as our Fat Loss and Muscle Builder provide a specific amount of good quality protein required for each individual plan. All our other prep and fitness food use high quality protein in meals that you can tailor to your own specific requirements to meet your goals. 1. Eat a protein rich meal after a workout, this will help your muscles and body recover quickly and repair torn muscle fibres which aid in muscle growth. 3. Choose good quality lean protein sources. We have a wide range of lean protein, we use only British meat which is fully traceable. Some meat may add water to increase the weight, this will lead to a decrease in the protein content, which will affect your macros. 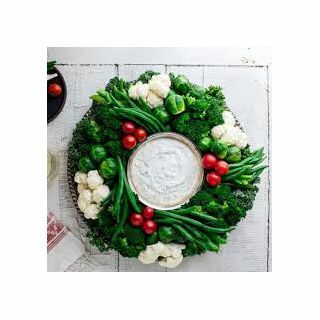 You can be sure we never use meat with added water or fillers http://www.simplyprepmeals.co.uk/our-food We also have a range of vegetarian protein products too. 4. Eat more fish. not only is fish a great source of protein, but fish such as salmon, tuna and sardines are rich in essential fatty acids such as omega 6 and 3 and white fish such as tilapia is very lean, perfect for those cutting. 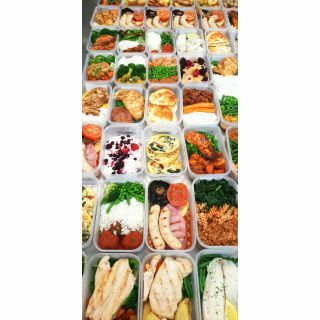 By using our meal prep delivery service you can be sure your fitness food will have the correct amount of good quality to help you reach your goals whatever they may be. If you have a specific diet plan or need help with macros then just email me on lou@simplyprepmeals.co.uk and I will do my best to help! A healthy diet has benefits beyond maintaining weight or weight loss. A diet rich in lean protein, fruit, vegetables,complex carbs and nuts has so many other positives beyong weight management. The secret is preparation. All walks of life could benefit from meal prep. A diet rich in complex carbohydrates rather than simple carbs will have a lesser inpact of blood sugar levels. This leads to less sugar crashes an naturally less cravings to induldge in sugary foods. Complex carbs such as brown rice and sweet potatoes will not only help keep you fuller for longer, but are packed with healthy antioxidents, vitamins and minerals. Complex carbs are the perfect in a preworkout meal. Better enduance and quicker recovery time!
" You can't out train a bad diet" "70% Diet, 30% Gym" "Abs are made in the kitchen"
Whether in the gym, in magazine articles or online we can't escape these sayings. It is no secret that a healthy diet is the key to success in the gym. Without an adequate supply of protein lean muscle just will not grow, with a well balanced healthy diet will aid in quicker recovery time and your goals will be reached sooner too. Eating less refined sugar and more fruit and vegetables is proven to improve mood and wellbeing. Kale for example has more calcium than milk and is rich in phytonutrients which help ease inflammation and improve liver detox ability. Bananas, tomatoes, pinapples and kiwi contain high amounts of serotonin which improves mood. Healthy eating and meal prep doesn't have to be complicated or even expensive. Check out or range of ready built plans http://www.simplyprepmeals.co.uk/order here. We have a plan whatever your goals are...such as buiding muscle, fat loss or even low carb plans. Our fitness food and diet meals are cooked fresh daily and delivered cool and free to your door! Dieting is no easy task, especially after a long day at work or a hard session at the gym. The last thing any of us want to do is start putting together a healthy meal. At this point we often search for quick solutions: maybe a takeaway or ready meal- which will certainly start to undo your hard work and efforts. Besides, I'm sure I can speak for most of us in saying we are trying to cut unhealthy food from our diet. At Simply Prep Meals we know constantly hitting your food goals is a task in itself, so we have eliminated everything from the thinking about what to buy right down to preparing, weighing and even washing up! By, having your diet meals delivered. Our packages come in 2 formats, you can build your own diet meals; by choosing combinations that fit with your daily calorie allowance or you can choose one of our fat loss packages - which are specifically tailor made for fat loss. Either way these diet meals will give you exactly what your body needs, especially after a strenuous workout. Having your healthy diet meals delivered to your door is a service that will save you not only time but above all avoid temptation. Our diet meal delivery service is convenient and time saving, simply order your diet meals online at your leisure and we will deliver them cool and fresh to your door. Our diet meals are healthy, we have created all our seasonings and sauces ourselves, so no hidden nasties. Everything is pre-measured, we weigh everything so you don't have to, plus, we provide a full nutritional breakdown of all our meals so, you know exactly what you are eating. Also our wide variety of healthy diet meal combinations means there's also less chance of getting bored and more chance of sticking to your diet. Make dieting that bit easy by having your diet meals delivered today, and with Simply Prep Meals delivery is always free! Check out our packages on our order page..
1. They keep us looking young....packed with vitamin K, which is crucial in preventing age-related conditions, such as bone fagility and cardiovascular disease. A 100 gram portion of kale contains four times the RDA of vitamin k! 2. Lower cholesterol by binding with bile acid to help aid digestion of fats. 3. Aid eye health as they are packed full of carotenoids, lutein and zeaxanthan which filter high energy light which may cause eye damage. 4. Help fuel your body due to the high content of B vitamins-which help convert carbs from food into energy. 5.Packed full of calcium which is great for bone health. 6. Help prevent colon cancer due to their fibrous texture and content. The benefits of buying healthy meals online. This time of year, the days are just getting busier and busier. Work, school, studying, housework, exercise and relaxation all have to somehow be crammed into 24 hours, and sometimes meal skipping becomes a reality. When you’re that busy, who has the time to buy ingredients and prepare a meal with precise nutritional values that coincides with your regular diet? 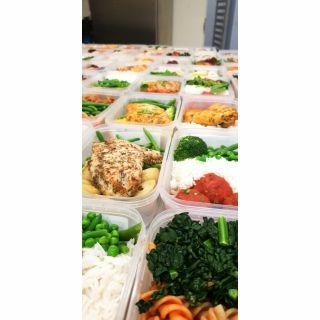 Here at Simply Prep, we aim to provide the best quality meals, all packaged, prepared and ready for delivery to your door step, all through our online ordering service. Buying healthy meals online is the quick and most efficient alternative to skipping meals, but what are the other benefits of a meal delivery service? With Simply prep, you can order up to 6 healthy meals a day for 7 days, that's a total of 42 hassle free meals delivered to your doorstep with no effort required on your behalf. Every meal is packaged and prepared by our award winning Chef to the highest standard, so you don’t have to worry about sacrificing quality for efficiency. Deliveries take place every Wednesday, Thursday and Friday, giving you time to decide your plan without having to worry about one set delivery date. Let's be realistic, nobody enjoys grocery shopping. Half of the time, people walk around with a list of 5 or 6 things, and end up taking home a car boot full of food that they will eventually end up throwing away. Not only is it a waste of food, but it's also a waste of money. At Simply prep, it costs only £79.99 to buy our 3 healthy meals a day for 5 days plan. Compared to your weekly shop, let's say you spend £100 a week, you’re saving around £80 a month on food alone, without even including the money saved on travel and the time and effort saved out of your day. Buying your healthy meals online is the ultimate alternative to impulse buying during grocery shopping. Unless you enjoy the entire cooking process, including the preparation and clean up parts, it's fair to say that cooking can be stressful, especially when the end result isn’t as rewarding as you’d hoped it would be. We recognise this, and through our online service, we can eliminate the cooking process for you all together, buying you back time, money, and hopefully reducing your daily stress levels a little.Our wide range of meals, including breakfast options, lunch meals and treat, ensures that whatever nutritional values you’re looking for, we will provide you with healthy meals that suit your diet. By cooperating with our Chef, a diet plan can be made to coincide with your lifestyle. Whether building up muscle or reducing fat is your aim, through our online service you can buy meals that suits your plan; what you eat is entirely your choice. Nutrients are essential to maintaining a healthy body that can work to its maximum capacity. allow each nutrient to perform its main purpose effectively within our bodies. What are the 6 main nutrients? plan of which are the most and least important nutrients to incorporate into our diets. How should we be incorporating these nutrients into our diets? as too much water or too little can cause cells to burst or shrivel up. How much of each nutrient is needed to stay healthy? you eat, which is where our services come in handy. How can Simply Prep help me monitor my nutrients intake? Athletes, bodybuilders and people who practice sport in general understand the crucial role carbohydrates play in their diet. This type of macronutrient is important as it provides the necessary energy our bodies require. However, not all carbohydrate sources are good for your body and goals. The unhealthy carbs are found in fast food, sodas, pastries, candy and sweeteners. This is where we come with our healthy sources of carbs – white and brown rice, couscous, new and sweet potatoes, and whole-wheat pasta! Which carbs are good and which bad? One way to distinguish between good and bad carbs is by checking their sugar levels. 140 grams of sweet potato wedges have approximately 5 grams of sugar, while milk chocolate candy has more than 70 grams! Another distinguishing feature of good carbs is that they are normally rich in micronutrients – Vitamins and Minerals. For example, 140 grams of new potatoes contain about 0.50 mg of Vitamin B6 which would make 32% of your daily Vitamin B6 intake. New potatoes are also rich in Vitamin C and they can supply you with 22% of your daily Vitamin C intake. You might have come across the terms complex and simple carbs. Complex carbohydrates are the good ones discussed in the previous two paragraphs, while the simple ones are the carbs that contain easily digestible sugar in vast amounts. According to surveys conducted by nutrition.org.uk, our consumption of complex carbs is 60% less than what is recommended. Let’s demonstrate visually which one is complex and which simple. Take one spoon of sugar and another one of rice, pour them into two different saucepans, then fill the saucepans with hot water and wait. The first to mix with the water is a source of simple carbohydrates – let us know if you have any observations. Generally, your daily amount of good carbs would be 45% to 65% of your total calorie intake. However, this can vary depending on the type of diet you follow, how active you are and your overall goals. One thing to remember is that no matter what targets you have set in place, good carbs will remain the healthiest option for your body and overall results. The importance of adequate protein for building muscle. When building muscle mass, it's important to consider your diet and your intake of macronutrients: fat, carbohydrates and protein. Protein intake is one of the most crucial elements of building muscle mass, however the body doesn't store protein like it does carbohydrates and fat, so regular intake and the appropriate quantity size is important. Protein has many uses, but it primarily builds muscle and repairs and maintains tissue within the body. The intake of adequate protein ensures that our muscle mass doesn’t decay, and ensures any damage taken to the muscle is repaired and replaced. The process of body building through intense training puts great amounts of stress on muscles, meaning bodybuilders are the most prone to muscle damage and tears in tissue, if they do not have enough protein to combat the strain their body is going through. What if not enough protein is taken, and how much is enough for bodybuilders? The amount of adequate protein intake depends on the amount of muscle mass you want to build. For bodybuilders and those who are putting their muscles under intense strain, it's recommended that around 1 gram of protein is taken per pound of body weight. This may sound like a lot, but torn muscle that isn’t repaired due to lack of protein can lead to lifelong problems, and can cause the risk of further injury.Damaged muscle tissue will begin to decay if it’s not repaired, and so for those who are at the highest risk of muscle damage, an adequate amount of protein is essential to staying healthy. How can I incorporate an adequate amount of protein into my diet? During our busy days, it's sometimes difficult to constantly keep track of the nutritional intake in our diets, making the bodybuilding process more complex than just maintaining a steady pattern of exercise. Unfortunately, exercising alone is not enough to ensure muscle mass is maintained and built upon, as our bodies are so reliant upon protein. Our three stage meals here at Simply Prep ensure that with every meal, your dietary requirements are met. 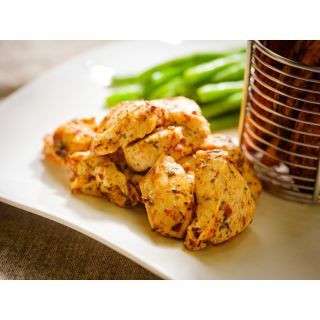 For those who are looking for a carb free meal that’s high in both protein and energy, our selection of flavoured chicken, including Tandoori and Mediterranean herb, containing 35g of protein per every 150g servings, is a perfect way of incorporating protein into your everyday.Alternatively, for those looking for a high energy and protein count along with carbohydrates, our Turkey breast meatballs contain 40g of protein per 150g serving, along with 10g of Carbs and contains 172 kcals. Meat and fish are the main traditional ways that we can incorporate protein into our diets, but our vegetarian dishes such as our vegetarian chilli and quorn stir-fry, provide 22g and 20g of protein respectively, without these key ingredients. Our chocolate and berry protein pancakes are a great way to incorporate protein into your breakfast, with 31.5g of protein per portion. So, the importance of a good diet is paramount whether you're a bodybuilder, athlete, personal trainer or just wanting a cleaner healthier life style. The right amount of macro nutrients are essential for good health, and this is where it can get confusing and complicated aswell as time consuming. At Simply Prep our ethos is simple, we provide good, clean, healthy, nutritionally balanced meals that taste great!